Born 19th July 1962 in Irvine Central Hospital and lived in Doonbank Crescent, Patna for the next 25 years of his life. Music has always been a big part of his life, although neither Mum or Dad played an instrument their love of music and particularly Scottish Traditional music influenced him greatly. It was in fact his Grandpa who bought him his first wee accordion – a 32 bass Royal Standard, and from the age of 8, Ian was hooked. 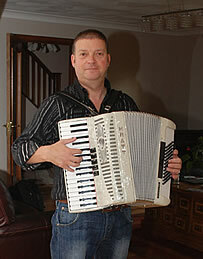 He took lessons for 8 years and graduated through the British College of Accordionists exam structure to Final Grade. He was a singer before he was an accordionist, having won the Jock Park trophy for singing Scottish traditional songs at Patna Primary in 1972/1973. But it is his accordion playing which has taken him all over the UK, Europe, United States and the Middle East. His playing career began in the Gaiety Theatre, Ayr at the age of 14 when he was drafted in to replace Walter Perrie who was stranded somewhere in Canada! And under the guidance of the then Theatre Manager, Bernard Cotton, his professional career sparked into life. 9 Gaiety Whirls, countless Spring Seasons and even a couple of Pantomimes were to follow at the Ayr theatre not to mention many one night shows. Ian has appeared with many of the stalwarts of The Scottish Variety Theatre including Johnnie Beattie, Jack Milroy, Rikki Fulton, Kenneth McKellar, Andy Stewart, Denny Willis, Calum Kennedy, Peter Morrison to mention only a few. In 1996 he took a step into musical theatre when he was invited to play the part of “Le Accordeoniste” in the musical play PIAF the life story of the legendary French singer Edith Piaf. The tour took in all major theatres in Scotland and finished its run in London. The same year he was to become Musical Director for a long running Scottish review show in Edinburgh’s Capital Moat-house, which was to be repeated the following year. 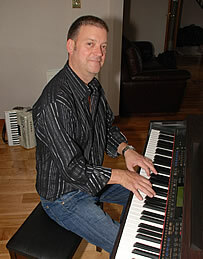 Ian formed his own Scottish Dance Band in 1984 and broadcasts regularly of BBC Radio Scotland “Take the Floor” programme. His many TV appearances include Thingummyjig, Shindig, Welcome to the Ceilidh and Northern Nights. For the past 4 years he has featured on GMTV live at Hogmanay from the shores of Loch Lomond. 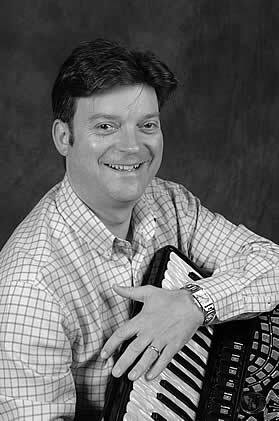 As well as a hectic playing schedule he is Senior Accordion Tutor at the prestigious Royal Conservatoire of Scotland in Glasgow, a post that he has held for the past 12 years.